Breckenridge was settled in 1859 by a small group of prospectors during the Pikes Peak gold rush. Settlers and droves were brought here by Breckenridge’s gold rush. If you are looking to go for a new place to spend your holidays, then Breckenridge is one of the best places in the world to visit. Breckinridge beckons to outdoor enthusiasts. It is the winter season which brings the skiers and snowboarders to the slopes whereas bikers, hikers and leaf peepers usually visit Breckenridge in the warmer months. One should definitely partake in the April ski scene and to enjoy a crisp Breckenridge brew. Breckenridge has a very friendly atmosphere. This atmosphere helped Breckenridge in transforming from a silver and gold mining town to one of the country’s most beloved skiing destinations. Breckenridge is very near to other popular Colorado destinations. Vail is around 40 miles northwest and Denver is around 80 miles northeast. 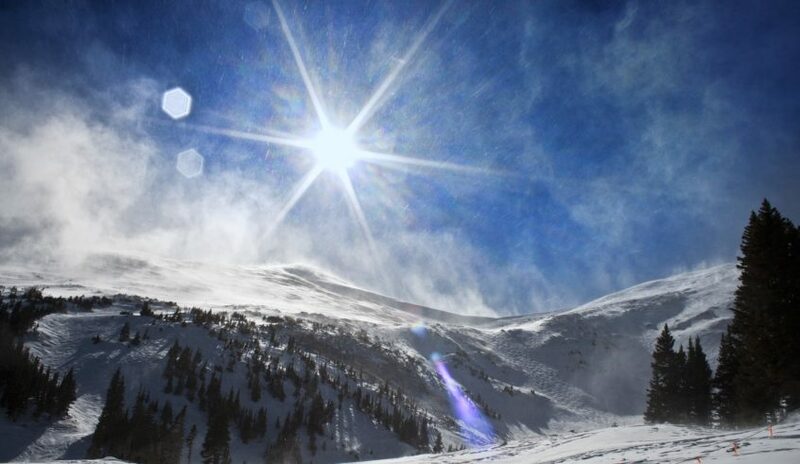 Winter days in Breckenridge are all about the winter sports. In summers hiking and cycling replace the winter sports. But one thing which does not depend on climate change is the eye-relaxing sunset and star-studded night sky is a treat to watch. These magnificent views are able to pull you back to Breckenridge again and again. There are some minute things which you have to take care to visit Breckenridge. You have to beat the altitude sickness, you have to stay hydrated and have some workout to keep away nausea and headache related to altitude sickness at the bay. In mountains because of the limited pollution and thinner atmosphere, it is very easier to get sunburn. So you have to rely on sunscreen to prevent the painful burn. From November to April, It is the time when the roads of mountains can be icy and slippery that’s why in order to be safe it is recommended to opt for all-wheel drive vehicles. If you want to get around Breckenridge, then the combination of walking and driving is the best way for that. You can’t explore the shops of Main Streets, restaurants and bars by driving, you have to walk. If you want to go to farther places, you will need a car. If you don’t want to rent a car then you can also use the free ride bus service which connects much of the town and Breckenridge ski resort. Taxis and right hailing services are also available throughout the year. If you are a traveler, you can reach Breckenridge by flying into Denver International airport which is more than 100 miles east or Colorado Spring airport which is more than 115 miles southeast. You can then rent a car or catch a shuttle into town. Copyright © 2017 breckenridgegetaway.com. All rights reserved.